Semantic web services (SWS) hold the promise of enabling dynamic discovery of candidate web services fitting a particular specified need. One interesting question is what impact this will have on software and systems engineering methods – will mainstream methods like RUP still be suitable, or will new or adapted methods be needed? This article surveys the state-of-the-art in methods specifically tailored for the engineering of SWS systems, looking at development methods trying to cover the entire lifecycle as well as methods covering only one or two phases. 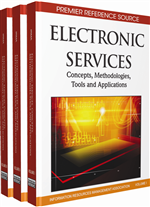 Some of the surveyed methods are specifically meant to deal with semantics, others are for the engineering of service-oriented systems in general. The survey reveals that there are many proposals being made in this area, some extensions of mainstream methods like RUP, others more experimental.